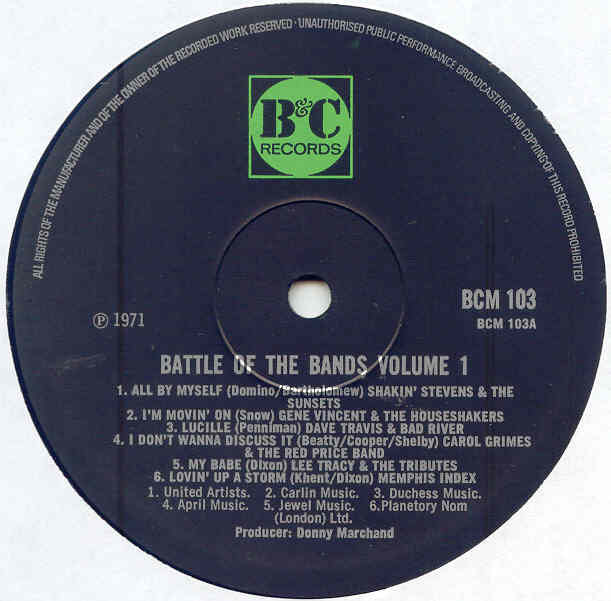 During the time that B&C Records released LPs in the CAS series, there were also releases with other serial numbers. This listing of those LPs is by no means exhaustive, and I would welcome any additions. This list only includes B&C LPs from the time of its association with Charisma and intentionally excludes any releases from when the B&C label was revived in the late 70s. NUMBER ARTIST TITLE DATE US LABEL ? Copyright 2006 - 2018 Mark J. Moerman. This information may not be reposted without permission and proper acknowledgement.